Back up your documents. It’s a piece of advice that gets ignored as frequently as “don’t recycle your passwords.” Nevertheless, every company needs to make sure they have a data backup if they don’t want to suffer crippling data losses, lawsuits, and disgruntled customers. Here are six crucial tips for backing up your data. Even though paper documents can be archived in backup facilities, they have plenty of drawbacks. 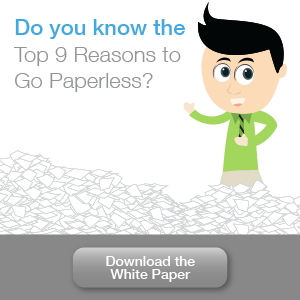 For one, paper documents can easily get lost, stolen, or damaged during the backup process. They also take up a lot of space and cost a fortune to manage and maintain. A better alternative is to digitize documents. Digital files are much less susceptible to damage or loss, more cost-effective, and easier to move around. In fact, they’re so compact that you can store thousands of them in just one gigabyte of storage space. To digitize files, all you need to do is scan a document and run it through a top-notch document management system (DMS) like PaperSave. The software uses pattern recognition and artificial intelligence features to process the printed text, add organizational tags, and store the document in a centralized database. Any effective document backup strategy must abide by the 3-2-1 rule. This means you need to have at least 3 copies of your files, stored on at least 2 different media formats, and 1 copy should be stored offsite. In practice, you can have files stored in an onsite server, external hard drive, and a cloud-based DMS. This way, if your onsite server goes down, you’ll still have copies of your files in two different places. Cloud services also make backups of your backups in multiple servers. So, in the off-chance that one of their servers fail, user data will be unaffected. As long as you have an internet connection and a computer, you’ll be able to access the most recent version of your files from any location. When it comes to cloud backups, you need to choose your provider wisely. The best providers use advanced encryption software, threat detection systems, and round-the-clock support to ensure your documents’ safety. You’ll also want someone that’s able to offer as much storage space as you need at an affordable price. If you’re in an industry governed by data regulations like HIPAA, PCI-DSS, or the EU’s GDPR, you must make sure your backup solutions are compliant. You may need to protect your data with a certain encryption protocol or you may have to retain records for a specific amount of time. Whatever it may be, make sure your provider can tailor their backup systems to your needs. Frequent backups will save you from recreating weeks of lost work. But how often you should back up your files will depend on your usage patterns and the types of documents you’re working with. In general, you’ll want to back up dynamic, mission-critical documents as frequently as possible. If your company processes dozens of proprietary information and customer records, it may make sense to schedule daily or even hourly backups. On the other hand, weekly backups will suffice for low priority documents that are rarely edited or changed. 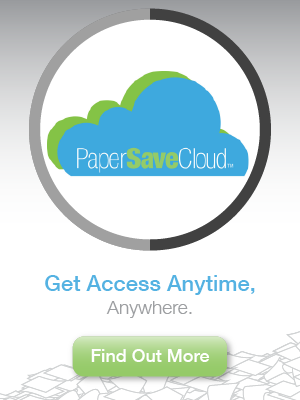 Consider using PaperSaveCloud when performing routine backups. Instead of manually transporting backup tapes and hard drives to a secondary facility, PaperSaveCloud automatically saves them in secure data centers via the internet. You can even schedule backups however you like. The most robust backup solution won’t mean a thing if it fails to work in your time of need. That’s why it’s important to regularly test your backup procedures. This involves creating test files and attempting to restore them. Spot testing non-critical files is another way you can assess your backup policies. But don’t just rely on simple tests. Make sure to evaluate how fast your backup solution can restore entire directories and databases. You can even simulate disaster scenarios to find out whether your employees know what they’re supposed to do when data is lost or stolen. Some of these tips and tests can be fairly technical, so consult with PaperSave for all your document backup needs. 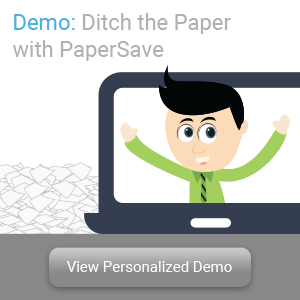 Or, sign up for a free personalized demo to test our DMS solutions for yourself.